With their second-round pick, No. 59 overall, the Twins took Jeffers, who is a catcher out of UNC Wilmington. Jeffers isn’t the sexiest pick in the draft, but he might just be exactly the type of pick that we could have expected the Twins to take entering tonight. 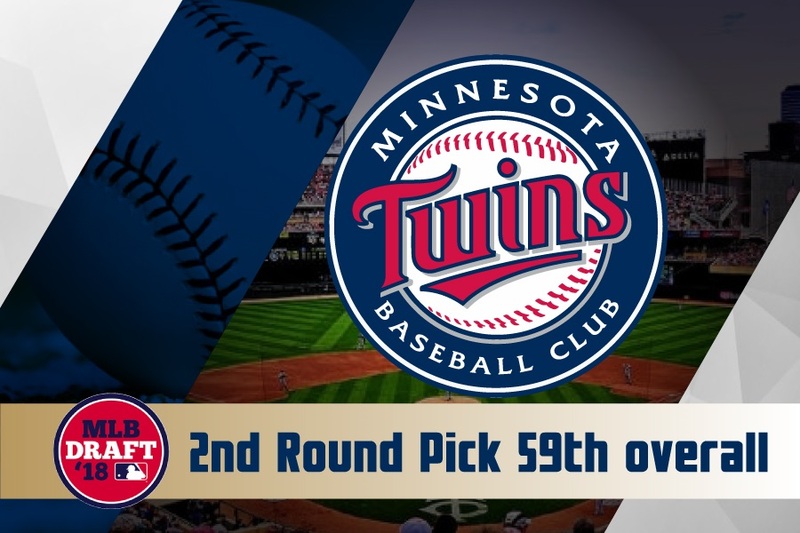 The Twins' limitations with their bonus pool were evident and this pick is most likely a move to save a little bit of money in that pool. 1.) It's important to remember that the Twins Top 200 or their draft board or whatever you want to call it isn't the same as MLB.com or Baseball America or FanGraphs or anyone else... and that's a good thing. The Twins have had eyes on these guys far longer and more often than those sites. So, just because he wasn't in whoever's top 200 really isn't a big deal. 2.) That said, I have to believe they got some savings from that pick, something below slot. 3.) I'd also say that it clearly signals that the Twins valued obtaining a catcher (or more) in the draft, and they are fully convicted that Jeffers can be a catcher, a big league catcher, at some point. They correctly predicted a mini-run on catchers (2-3 came after he was selected, and since they don't have a 3rd round pick, they didn't want to wait until then, knowing that the guy they clearly wanted (Jeffers) wouldn't be there ... This is all a guess, of course. catchers don't usually hit .300. OK, I'm in. I understand an 80% chance to stay at catcher, or 100, or 50 or 20, or even zero. I have no idea what non-zero means. Seems that if people want to communicate, they won't do it in code. Non-zero could mean anything then? Like anywhere between zero and 100% chance? Now that is sticking your predictive neck out, big time. I find it interesting that this FO spends 24 million or so on a catcher that can't hit, because they like glove first, but they draft a hitting catcher, but don't sign a Ramos or a hitting catcher to play for the Twins. So, we currently need catchers. This pick won't change that. I still suspect a trade is imminent. If Garver doesn't shine and Wilson don't hit (he has a cannon of an arm, which i saw IRL in Seattle, so I will shut up about him) we still need a playable backstop. Which I think may mean a call up for a spell, if only a couple weeks, if we can't find a deal. But who? I like Nav. Give him a week in the Hilton, why don't we? And am I the only one who thinks calling up a kid, maybe a Lookout, if only for a spell, makes him a better player, long run? It gets him a dose of desire for use later, right? We have a young team. There will be hiccups, but when you go with a youth movement, you gotta let the kids play. So you toggle the switch and call up a kid. Give him a look at the Show. Send him back with his face glowing like he just saw Sophia Vergera up close. He may be back sooner than expected that way. See, that is why you will never work in the FO. You expect things to make SENSE. If it makes any difference, I thought the same thing. Is Ryan Jeffers the reincarnation of Bill Paxton? "Game over, man! Game over!" (Jeffers interview after a two-run walk-off 13th inning homer vs. Coastal Carolina).